Posted January 13, 2015 by Eric Graham . We build a lot of websites for a lot of different kind of businesses. 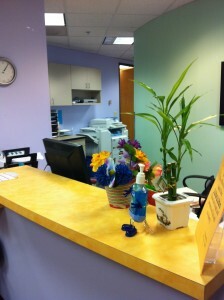 We take pride in all the work we do no matter how small or big an organization is, or what type of business it is. 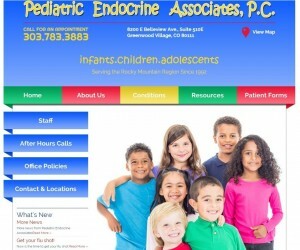 Recently we completed work on a new website for Pediatric Endocrine Associates based in Greenwood Village, CO, and we are happy to report that the site came out great! Not only are we proud of the hard work, web design and coding that went into the new site, but we are also pleased by this project because of the number of kids served by this amazing office of caring medical professionals. Because we serve businesses all over the United States, we don’t always get to meet our clients up front and in person. But whenever we get the chance, we take full advantage of the opportunity to meet face to face. And what a pleasure it was and continues to be, meeting and commiserating with this fully engaged group of medical professionals. 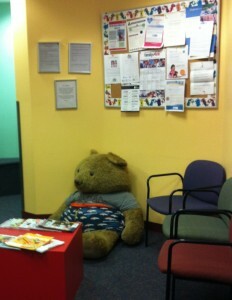 At first glance, this office looks like most other medical clinics and doctor’s offices, except for maybe the giant brown teddy bear that greets each person when they walk in. But on closer look, it is so much more. The dedicated people who work in this incredible clinic serve youth, from toddlers up to juveniles, who have medical issues within their endocrine system. 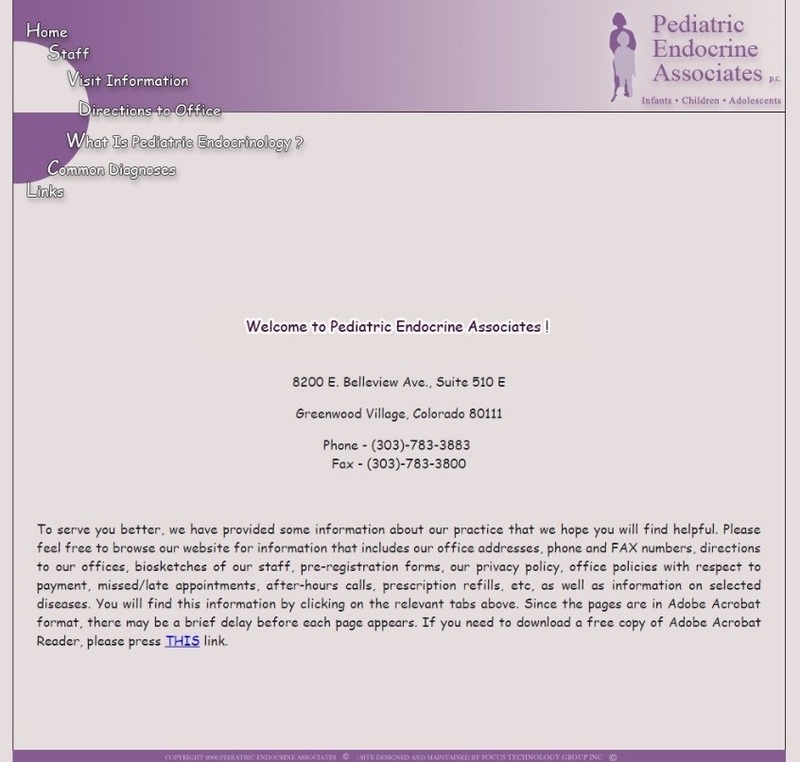 From the outset, the team at Pediatric Endocrine Associates were a joy to work with. Each detail of the project was meticulously scrutinized, and each member listened intently to every recommendation we offered. Our vision paved the way to start the project, but it was their vision that eventually put the cherry on top. This new website design was a true collaboration of their team and our team working together. Getting from point A, in this case the old website, all the way to point B, the new website, was a process. But as you can below, the transformation is stunning. In the first image, you can see the old website. Although it incorporated colors from their former branding and logo, the site was certainly outdated in feel and usability. The site was not optimized for mobile viewing, though 80% of all local searches coming from mobile devices. Contact information was a little hard to find when you weren’t on the homepage. Content was not optimized for Google search results. These things are often true for many people and businesses who don’t have the time to manage their website on a weekly basis. 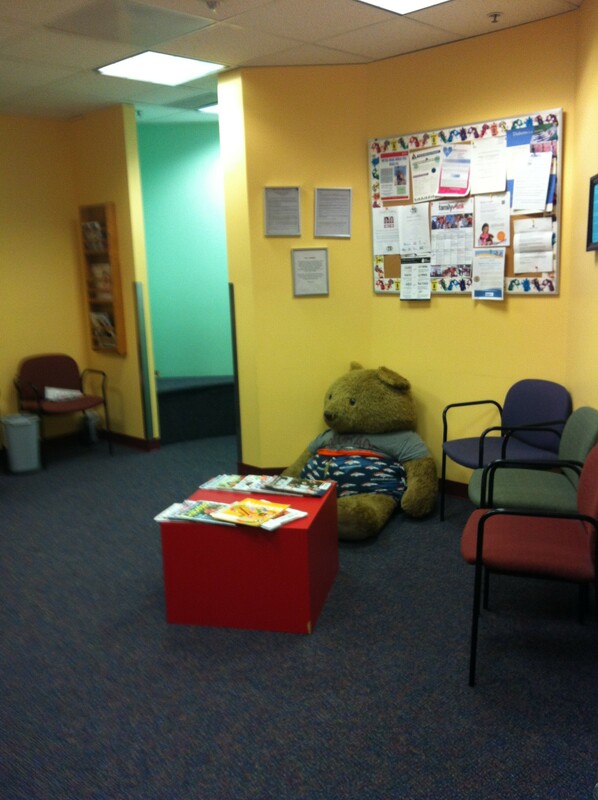 But for Pediatric Endocrine Associates, this meant they were unable to reach those in need, and those who needed their help were not able to find them. So they turned to Automated Marketing Group. After meeting the doctors and staff, learning about this unique practice, and seeing the difference they make in the lives of young children, we took what we saw in Pediatric Endocrine Associates and created a website design that serves both as a visually appealing statement of their clinic and caring atmosphere, but as a marketing centerpiece that will allow them to be found and then to serve the many kids who need their help and expertise to live a better life. And that is something we are extremely proud to take part in! If you have a question about web design and how it can benefit your business, please give us a call at (303) 703-8000. We are happy to discuss your project with you, no matter how big or small. We take pride in our work — dedicated to creating a website that will serve you, your business, and your customers!